Marketers should use the data they have to learn about audiences and deliver the content, messages, and experiences that matter to them. Marketers around the world believe in the power of personalisation, with 98 per cent of marketers agreeing it helps advance customer relationships. Personalisation is at the heart of engagement and, with the purchase journey moving increasingly online, marketers are looking to data-driven personalisation to replicate the individualised nature of traditional face-to-face interactions. The intense focus on personalisation, and now hyper-personalisation, is putting increasing pressure on the quality of the overall customer experience. In an Econsultancy report highlighting the most exciting opportunities of 2019 for larger brands or agencies, data-driven marketing that focusses on the individual topped the list, coming in above optimising the customer experience. This result illustrates a disproportionate focus on personalisation, which should predominantly be used to enhance the customer experience. With the current martech explosion, where shiny new tools promising better targeting and increased conversions are continually emerging, it’s easy for marketers to get seduced by the personalisation promise of tech and lose sight of the bigger picture. 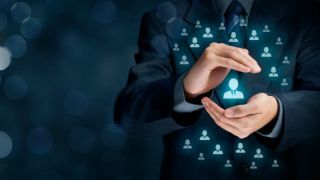 Organisations are spending time and money on big data models and solutions to drive personalisation but aren’t necessarily seeing value from their efforts. While data and personalisation can play a pivotal role in driving outstanding digital experiences, sometimes marketers need to take a step back and ensure they are using personalisation for their audience and not against them. It can seem like today’s consumers expect and demand personalisation. Major platforms such as Amazon, Netflix, Facebook and Spotify have set that expectation, with content and recommendations tailored to the user’s information, interests and past behaviour. But there is a fine line between delivering personalised, relevant experiences, and unnerving valued customers. An Accenture study reveals that although consumers generally welcome one-to-one marketing based on their unique interests and preferences, 40 per cent say it feels creepy when technology correctly interprets and anticipates their needs. Consumers want organisations to get personal, just not too personal. Marketers need to think more broadly about what their customers want. Yes, they want relevant messaging that meets their individual needs, but they don’t want to feel a brand is watching their every move so messaging shouldn’t be personalised to such a degree it frightens them. When thinking more broadly about the customer experience marketers need to consider factors other than personalisation such as speed, which is highly valued by time-pressed consumers. They also need to think about building trust. In the age of data and privacy regulation, marketers need to be cautious about how they use personal information. Consumer trust of how organisations are using data is low and on the decline. In the traditional sales funnel consumer trust appeared at the end, after a product or service was purchased and had proven itself valuable. But that’s changing. The arrival of the GDPR, CCPA and other data regulations marks not just a regulatory regime change, but an increased focus and interest from consumers on the value and treatment of their personal data. To respond, marketers must find a way to move trust earlier in the funnel. Build trust early in the customer lifecycle, earn permission to access valuable information to use for personalisation, and use that data for the customer’s benefit. The key to building trust early on is to develop consent and privacy in the initial stages of customer experience planning. By adding a consent layer to the conversion funnel – “the funnel before the funnel” – even above awareness, marketers can reduce consumer uncertainty and allay privacy concerns. They can use a consent management platform to transparently communicate how the data will be used, shared and secured, as well as precisely what it will be used for. They can also provide customers with choices over how their data is used and who it is shared with, giving them more control over their personal information. When consumers understand how an organisation knows something about them, and are aware that information is being collected, they are more accepting and less wary of data-driven practises such as personalisation. Being transparent about data collection demonstrates respect, which in turn builds consumer trust. Marketers often think they need to collect vast volumes of data about their customers and throw every conceivable feature into complex, monolithic platforms to execute personalised campaigns, but this is far from the case. Before collecting any information, organisations must consider if they actually need it and quantify the value it will bring to their marketing efforts. By only collecting data that pertains specifically to the customer experience, and that they really need to deliver on business needs, organisations can demonstrate responsible data use while still getting to know their customers. Marketers can start small and use progressive profiling to gather data over time, never asking more than they need to know. They can use the data they have to understand what makes their audience tick and create smart personas for target groups. This minimal level of data collection and processing is enough to create meaningful connections customers will remember and take action on, without over-personalising messaging or leaving your organisation exposed to data risk with information that they never even used. When consumers say they want messages tailored to them, what they’re really telling us is that they want messages that matter to them. With data regulations restricting the use of personal information, such as demographic and behavioural data, many organisations are turning instead to the use of contextual signals which don’t make the user personally identifiable. This type of personalisation can be driven by real-time visitor behaviour where dynamic message variants are delivered based on the user’s actions on the website; the links they click on or the content they download. It can also be driven by ambient data derived from the current web session such as date and time, referring websites, search engine keywords or IP address geolocation. Personalisation via contextual clues is easy and intuitive, delivering richer and more relevant digital experiences that let consumers engage the way they want to without the inherent risk of using personal data. Ultimately personalisation is about delivering a positive digital experience, so marketers should use it as a tool to make customer lives and journeys better rather than making it their primary goal. Whether they’re using minimised personal information, gained through a consent management platform, or contextual signals gained in real time, marketers should use the data they have to learn about audiences and deliver the content, messages, and experiences that matter to them.